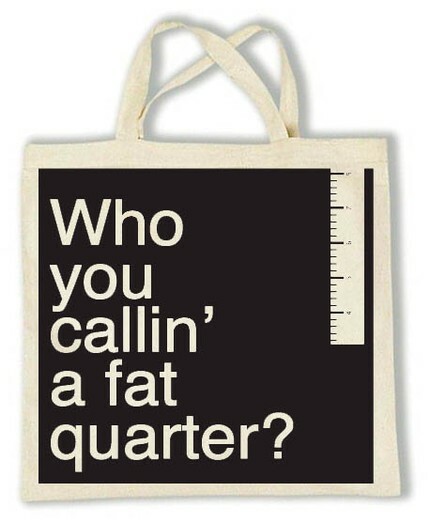 Live a Colorful Life: Who you callin' a fat quarter? I love Australian fabric/pattern designers/quilters. This bag is courtesy of Shannon Lamden, AKA Aunty Cookie. "You'll find something you like. Or maybe not. No pressure. Your choice." I'm sure I would purchase way too much stuff from these great artists, but the postage is usually what prevents packages from Australia showing up in my mailbox very often. I guess that's a good thing...given my fabric obsession. Fabric obsession...have I mentioned before that I'm fabric obsessed? Or that I love getting the mail every day? Probably. 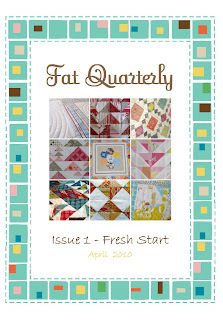 So when SewMamaSew had a fat quarter exchange during Quilt Month, you better believe I jumped on that bandwagon. And this is what has showed up in my mailbox this week so far, mostly from the East Coast. 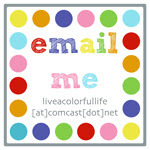 I even got something in my virtual mailbox. Fat Quarterly launched their first issue on Tuesday. 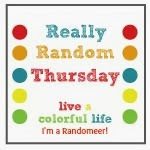 Isn't that border awesome? I already have a quilt planned just based on the cover. Aqua, lots of funky squares, white sashing. Hmmm....I wonder if Aunty Cookie has anything in aqua. I bought a couple of those tote bags. Can't wait to wear it to the next quilt expo!! Hahaha that does make a nice looking quilt! I like the aqua color too. So far I've been staying away from it 'cause I'm not comfortable with matching with it ... yet :P.
i got the fat quarterly too and love it!! can't wait to try out some of the patterns.